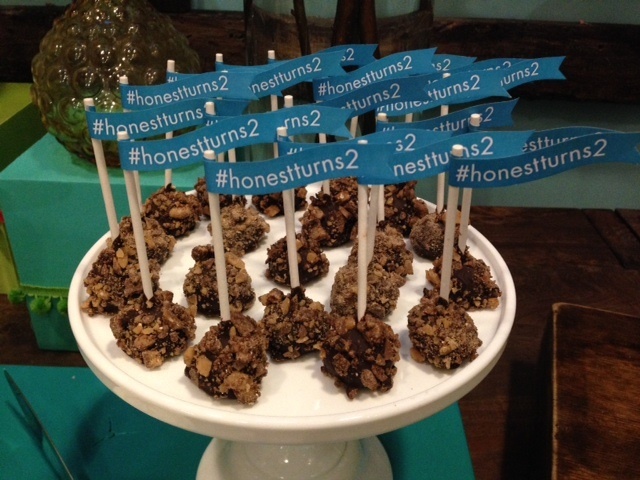 Jessica Alba and Honest co-founder Christopher Gavigan hosted The Honest Company Turns 2 Celebration at the Honest headquarters in Santa Monica. The family essentials brand celebrated two years in business with a family friendly event featuring fun activities like balloon artistry, face painting and a prop filled photo booth. Jessica’s children Honor and Haven joined in on the fun festivities, along with co-founder Christopher’s three kids. Jessica is wearing an Andrew Gn shirt, Roland Mouret pencil skirt and DVF black patent pumps. While checking out the new showroom space, attendees enjoyed made to order beignets, quinoa crab cakes, mini vegan sloppy joes, mac & cheese cupcakes and Asian noodles in Chinese takeout boxes. 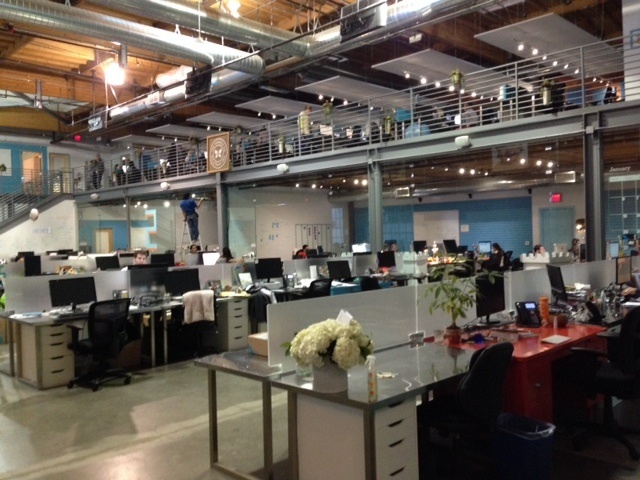 Inside the offices of the Honest Company. 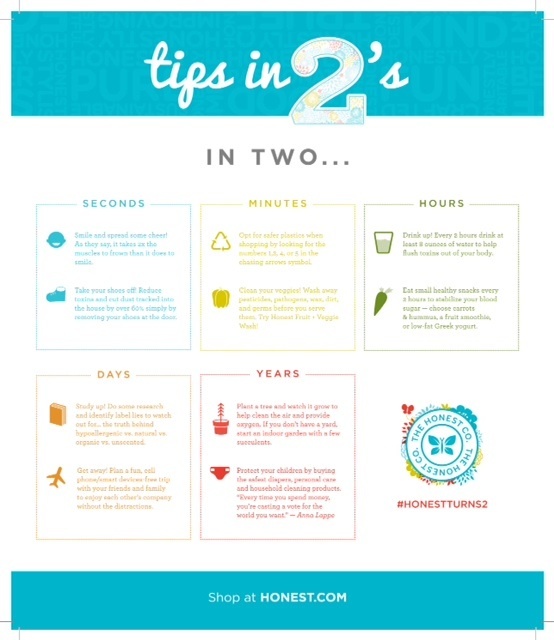 With a nod to the 2nd birthday celebration, as guests departed, they received a “Tips in 2” one sheet outlining simple tips on how to make your life healthier in 2 seconds, 2 minutes, 2 hours, 2 days and 2 years. I thought I would share this useful information. With work life management expert Samantha Ettus. 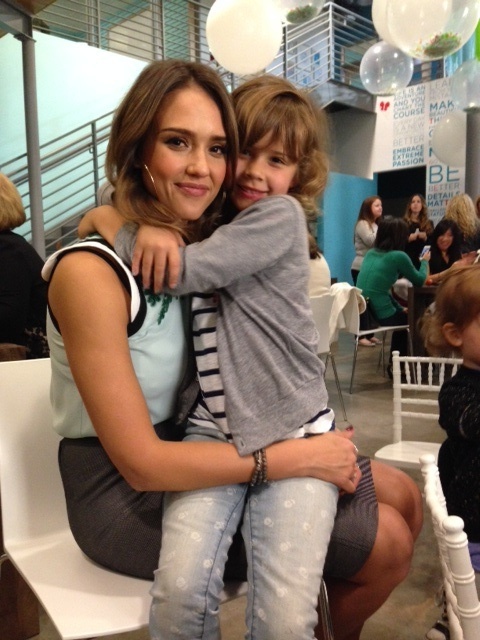 Jessica Alba with her daughter Honor.